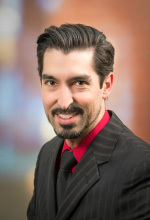 Dr. Couturier is an associate professor of pathology at the University of Utah School of Medicine. He received his PhD in medical microbiology and immunology with a specialty in bacteriology from the University of Alberta in Edmonton, Alberta, Canada. Dr. Couturier served as a research associate/post-doctoral fellow at the Alberta Provincial Laboratory for Public Health and completed a medical microbiology fellowship (ABMM) at the University of Utah. His research interests include Helicobacter pylori diagnostics and population prevalence, in particular identifying populations with increased risk of infection and reduced access to medical care. Dr. Couturier also has a research focus aimed at developing improved diagnostics for emerging agents of infectious gastroenteritis. He is board certified in medical microbiology, and a member of the American Society for Microbiology and Infectious Disease Society of America. Dr. Couturier is the program director for the Medical Microbiology fellowship at the University of Utah/ARUP.